Some of our largest customers have events with 100+ presentations, so we decided to simplify things for them. 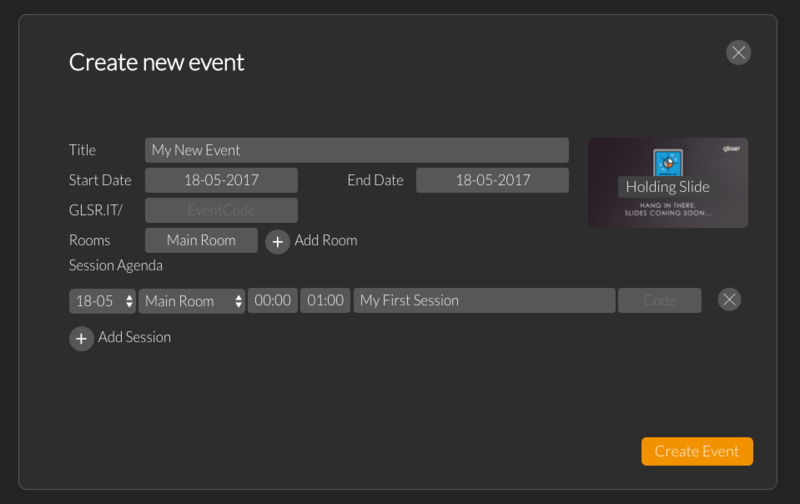 Rather than create an event presentation by presentation, you can now build the whole event in one screen and apply your holding slide automatically to each. Then just replace the holding slide with the presentation decks as they become available. Hubb is one of our partners in the Event Tech Tribe, focused on speaker/presentation management (among many other cool things). 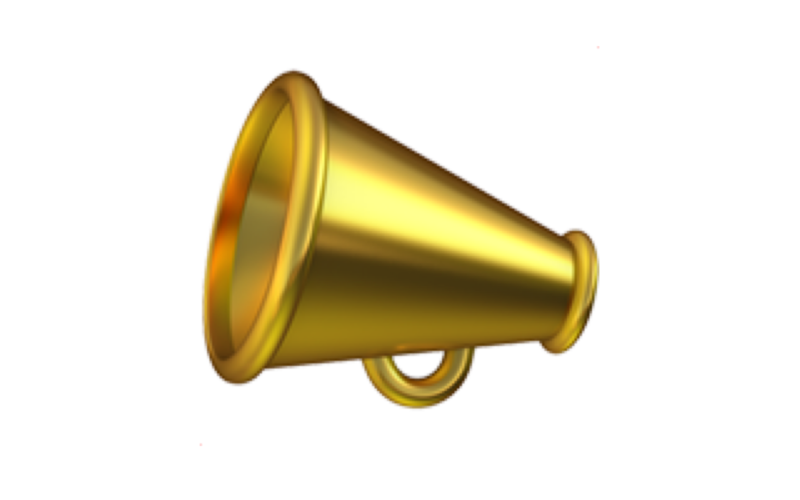 We’ve integrated with them, to allow you to pull your event agenda from Hubb, straight into Glisser, so no need to re-key everything. 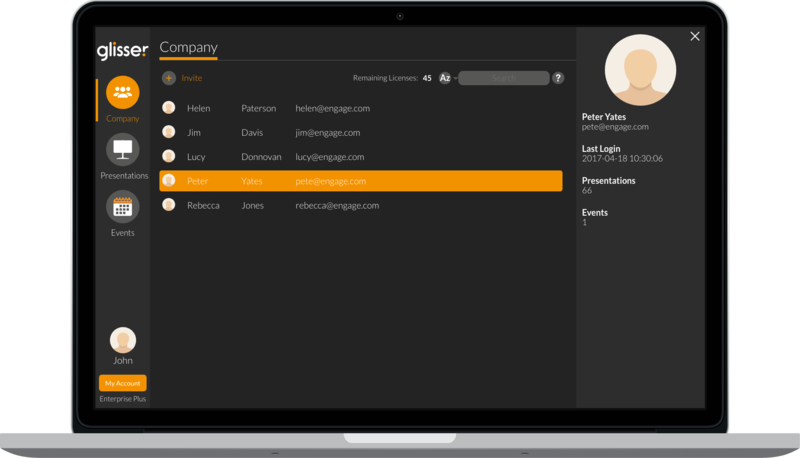 You can now protect your presentations and events with a passcode. Delegates without this won’t be able to access your content, enhancing security on an event or presentation level. Our Enterprise Plus and Education Plus admin users can now access basic stats on every presenter account connected to their master account. Now it’s much easier to see who your most active users are, and where licences could be redistributed.